New Delhi: The Vice President of India, Shri M. Venkaiah Naidu has stressed up on the need to bridge the urban rural divide to ensure uniform development of the country and rural India needs attention for development. He was addressing the third edition of Dr. A.P.J. 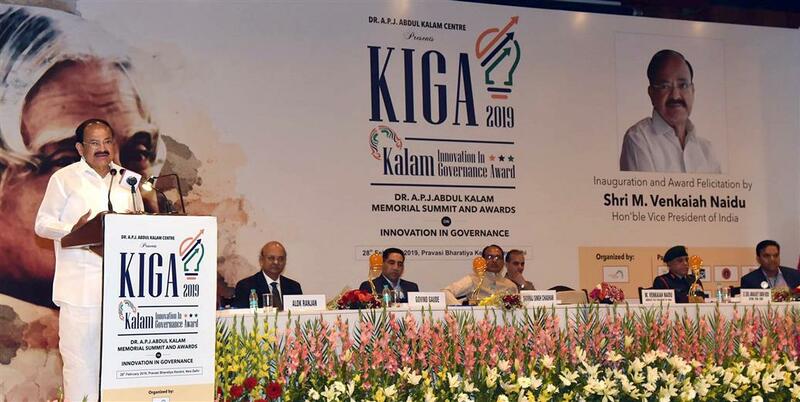 Abdul Kalam Summit on Innovation and Governance and gave away Kalam Innovation in Governance Awards 2019, here today. 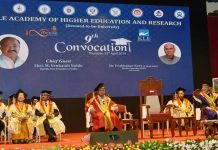 Shri Naidu said that giving equal access to resources, healthcare and education to everyone regardless of their social status would help the nation in bridging the divide. 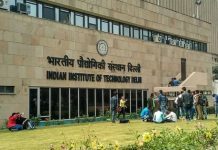 He urged upon the young generation to research and come up with new ideas and innovations and contribute to India’s growth story. The Vice President opined that every citizen must play a key role in achieving self-reliance for a globally competitive nation. Together, with sustainable efforts, we can realize this dream of New India, he added. Calling governance as key, performance as the only touchstone for real progress, Shri Naidu said that ideas have to be translated into tangible realities. Opining that Dr. A.P.J. Abdul Kalam’s name conjures up the visions of India that was firmly on a development trajectory, harness its intellectual, uses its cultural and spiritual capital to regain its rightful place in the comity of nations. The Vice President called up on the scientific community, researchers and innovators to use science and technology and innovations to change the lives of farmers. He wanted a special attention towards farming as most of the village economy relies on agriculture. The critical challenge is to deploy the best possible ideas in the innovation-led development of the rural areas of the nation – where 60 per cent of its population lives, he added. On this occasion, the Vice President also started 75 new Kalam Digital Libraries that are aimed at serving as centers for no-cost digital based learning in schools and children observatories across India. The former Chief Minister of Madhya Pradesh, Shri Shivraj Singh Chouhan, the DGDIA & DCIDS, Intelligence, Ministry of Defence, Lt. Gen. Amarjeet Singh Bedi, the Minister for Art & Culture, Tribal Affairs and Civil Supplies, Goa, Shri Govind Gaude, the Chief Secretary of Gujarat, Dr. Jagdip Narayan Singh and other dignitaries were present on the occasion. ” Distinguished awardees assembled here from all over India, delegates and guests present here. My greetings to all those who are joining in the Kalam Libraries spread across several/ 50 locations in India. It gives me great pleasure to join you today at the third edition of Dr. A.P.J. Abdul Kalam Summit on Innovation and Governance which has become a valued tradition since 2016. I am truly delighted to be present at this summit which is dedicated to a great personality like the Bharat Ratna Dr. Kalam, the missile man of India, who was known for his unique and innovative leadership in various government positions, including as the 11th President of India from 2002-07. He truly was a ‘People’s President’, whose only aim was to improve the living conditions of every citizen and strive towards propelling India into a developed country. I am also delighted to know that this summit is being organized in collaboration with the Deendayal Research Institution, which was started by Bharat Ratna Nanaji Deshmukh ji – who was a pillar of rural development and service. I am happy to note that today we are also starting 30 new Kalam Digital Libraries spread across India and many of these libraries are connecting with us via internet today. I am told that these Kalam Libraries will be serving as centers for no-cost digital based learning in schools and children observatories across India. I am happy to note this mission of Dr. Kalam is being spread via technology. I am told that from its first edition in October 2016, this conclave has consistently been exploring how cutting-edge technology, 21st century management and out-of-box thinking, can transform the role and impact the governance in India and across the world. Dr. A.P.J. Abdul Kalam’s name conjures up visions of the India we all dream of. An India that is firmly on a development trajectory, an India that will harness its intellectual, cultural and spiritual capital to regain its rightful place in the comity of nations , an India which will reap rich demographic dividends by providing knowledge and skills to its youth, an India that is inclusive, dynamic, forward looking with the courage to bridge numerous divides, especially the urban-rural divide. He stood for the vision that for India to become a superpower “Governance should be transparent, responsive and corruption free.” In his own life, he lived up to these words through his professional actions and conduct. Therefore, the summit is rightfully dedicated to his vision and missions. I am aware that all those who gathered here including policy makers, civil service officers, NGOs, leaders from the Armed Forces, members of the media and academia, are all dedicated to improving governance. I believe like Dr. Kalam that governance is key, performance is the only touchstone for real progress. Ideas have to be translated into tangible realities. I am glad to see that this year, the awardees have done exceptional work in improving governance and delivering value to the citizens from across 10 Indian states. There is someone who started a Mahila E-Rickshaw project, someone who adopted a 360 approach to advance safety and security of the citizens, someone who implemented technology-based low-cost solutions for public healthcare, someone who has worked to promote financial literacy, and someone who has contributed to the social and economic uplift of leprosy affected people in India. I am happy to note that all have implemented innovations in various areas of education, healthcare, women and child welfare, finance, rural development, and information technology. We have numerous challenges before us. The most glaring is the urban-rural divide. I am, however aware that the government has not neglected the welfare of the rural population of the country. There is a clear perception that bulk of India’s challenge and opportunity lies in the rural hinterlands of the nation. While the cities and urban centers have seen a growth led by services and manufacturing sectors, the village economy relies mostly on agriculture. The critical challenge is to deploy the best possible ideas in the innovation-led development of the rural areas of the nation – where 60 per cent of its population lives. From Ujjwala Yojna to Fasal Bima Yojna and now with the Pradhan Mantri Kisan Samman Nidhi, rural development has always been the priority of the government. Today, nearly every single village is connected to electricity. Growth would not have real meaning unless it touches the lives of people living in rural areas. Growth has to be inclusive and all amenities available in urban areas need to be provided in the rural areas as advocated by the former President, Dr. A.P.J. Abdul Kalam under the PURA concept. I am happy to note that the ideas of Dr. Kalam are seeing the light of the day under such missions. India’s economy has consistently recorded a growth rate of over seven per cent in the last few years and India is the fastest growing major economy. We are moving in the right trajectory and India is set to become the third largest economy in the world in the next 10-15 years. To achieve that goal, we need to ensure that India performs exceptionally well on all fronts from agriculture to manufacturing and infrastructure. Dr. Kalam propounded the idea of a developed India by leveraging innovative models of governance, so that India can stand up to the world. We are now just one year away from the India 2020 that he had envisioned and we can still fulfil the dream of Dr. Kalam if the entire nation steps forward to achieve the noble endeavour. Innovation and dedicated implementation hold the key to our future growth. I urge each one of you present here, and especially the young generation of the country, to research and come up with new ideas and innovations and contribute to the Indian growth story. We have to develop a nation where rural-urban difference is reduced to a thin line, where everyone has equal access to resources, where best of healthcare and education is available to everyone regardless of their social status, where poverty is eradicated and crime rates are reduced. Every citizen has a unique role in achieving this form of self-reliance for a globally competitive nation. Together, with sustainable efforts, we can realize this dream of New India.